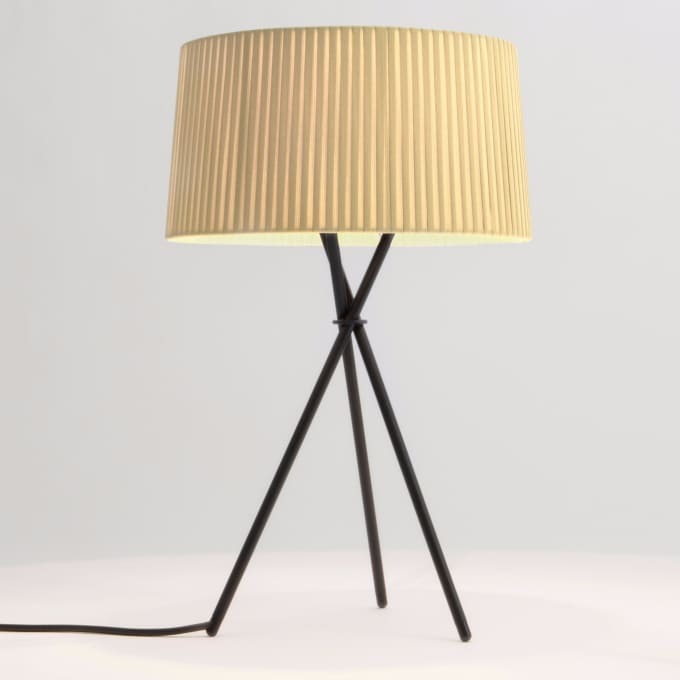 Small table lamp with tripode in black metal structure. The smallest light of the Tripode family does not need to hide behind their big brothers and sisters. Even in the "pocket form" the filigree tripod with the large lampshade made of paper tape draws the attention and sets coloured accents in the room. The Tripode M3 table light is also available in the new raw colours. The larger family members - the table lamp Tripode G6 and the floor lamp Triopde G5 - are also available from our online shop. Do you have a question about "Tripode M3"? How can we contact you?